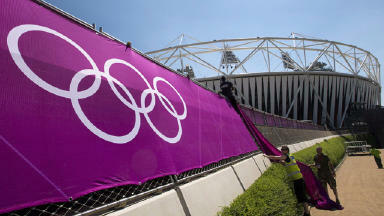 Sir Craig Reedie, of the International Olympic Committee, says athletes would "have no alternative". Scottish athletes may have no choice but to compete for Great Britain rather than a newly-independent nation at the next Olympic Games in 2016, according to a member of the International Olympic Committee (IOC). Protracted negotiations on the country's future would not be finalised in time for the Games in Rio even if voters back independence in two years time, Sir Craig Reedie told the Scotland on Sunday. The view appears to contradict the Scottish Government's position that entry will be "straightforward" and could be achieved in a "very short time". Sir Craig said: "In my view, whether there is a referendum or not, the independent recognition by the international community will take a lot longer than 2014. At the moment they (athletes) have no alternative, and the alternative is a long way in the future." 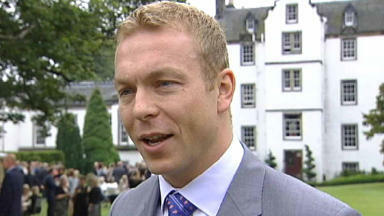 He defended the existing set-up and questioned whether Scotland could afford to fund elite sports to the same extent. He added: "Team GB benefits massively at the moment from funding. That comes from the Exchequer and it comes from the National Lottery and it seems to be unlikely that a much smaller unit would find it easy to match that funding." Scottish athletes have performed well for Great Britain in the London Games. Sir Craig highlighted the gold medal for rowing won by Katherine Grainger with England's Anna Watkins. A Scottish Government spokesman said Montenegro became an independent state in 2006 and gained IOC recognition a year later. The country made its debut at the 2008 Games in Beijing. The spokesman said: "The International Olympic Committee is a body with long experience of welcoming new countries within a very short time of them becoming independent, and the process would be similarly straightforward for Scotland following a successful Yes vote in 2014. "If Scotland votes Yes, we will be an independent country by the time of Rio 2016, Team Scotland will already have competed in the 2014 Commonwealth Games, and we already have more than the necessary five National Federations which are affiliated to the International Federations that govern sports included in Olympic Games programme." 30 Jul 2012 Scotland Tonight: Are the Olympics making us proud to be British?